SkySE Dolo DoF: Improved Vanilla Depth of Field! I have to say something else: Really BIG THANKS to those F*****s who just re-upload mods from authors (i.e. like SKYRIMGTX, Renthal311, many more...) to other sites WITHOUT permissions! This led to e.g. SKYRIMGTX locked all his downloads forever, Renthal311 removed most of his mods and other authors did the same - FOR GOOD REASONS! I just cannot (under)stand people stealing mods or just uploading without sending a quick permissions request to the related authors before and WAIT for an answer! So thank you very much for making great modders angry and making them removing all their great work! It's a shame! That's all I wanted to say about that. Please don't be like those d**b people - no matter what mod it is! Improved Vanilla Depth of Field! It's a simple dynamic Depth of Field mod. It uses the vanilla DoF and enhances its settings to a more deep DoF effect, close to the ENB but - as said with Vanilla assets - less to not performance hungry overall. absolutely performance friendly as it doesn't implement anything new - just enhanced Vanilla DoF settings. Already seen this? Check the PERFORMANCE GUIDE at the page bottom for the latest improvements for better FPS in your game! It's just an tweaked vanilla DoF settings file which overrides the default settings. Not more or less. But it's nice and can safely be used with any graphic setup, mods or whatever you want. BUT don't use with ENB! Just because ENB DoF will override it and it will just cost a little extra performance with absolutely no visual effect! 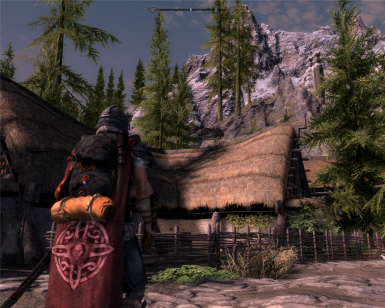 But you can of course use it with any ENB - therefor you have to DISABLE the DoF effect in your ENB settings (Shift + Enter). 1. Download via NMM button, in NMM install and activate. Load order doesn't matter. 1. Download manually and copy & paste the contents from archieve's Data folder into .../Skyrim Special Edition/Data/ folder. 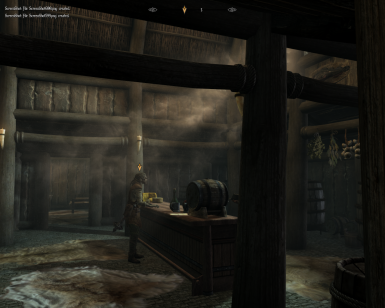 You MUST enable Depth of Field in your Skyrim SE Launcher or via SkyrimPRefs.ini!! Also set DoF to maximum inside the ingame main menu! 3. 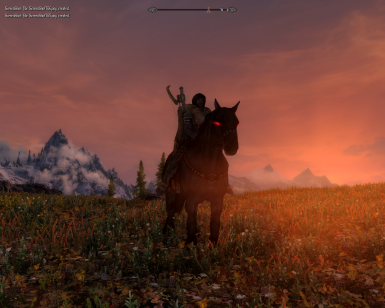 If you like to have stronger DoF, similar to some ENB presets with real strong DoF effect, download the optional Stronger DoF Addon and overwrite the main file with it. First of all install this!!! Pick VERSION 2. This will increase your performance dramatically (for most people!). To see what it does, see the mod page and don't forget to endorse! To give you an idea of my mod setup, my rig specs and how it works for me according to performance, I list you some of these things here. I'm also using a lot of texture replacer mods which affects almost everything. I always choose 2K (though I got a 4GB GPU). I'm playing at 50-60 FPS in most exteriors (exceptions are i.e. 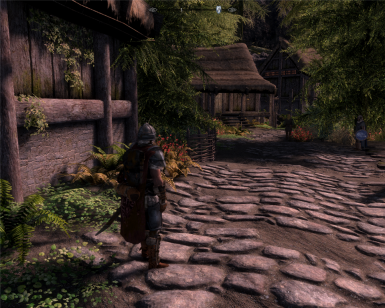 Falkreath which is a very dense forest area. There it runs at ~45 FPS) and stable 60 FPS in all interiors. Some people might get about 2-3 more FPS when using driver-side VSYNC. In this case just disable it via ENB ingame menu by pressing SHIFT + ENTER and remove the related hooks for both VSYNC and FPS-LOCK. Click on SAVE CONFIGURATION. NEVER USE INGAME VSYNC!! Check UPDATE INFORMATION at the top of this page or below under BETHINI settings! Anisotropic Filtering: Override application settings with "16x"
Don't play with the INI files too much! In many cases this will do more harm than be helpful! BethINI is a nice tool for that! When using it, you can choose a preset according to your system's strength and then i.e. decrease shadows resolution, but increase shadows draw distance. 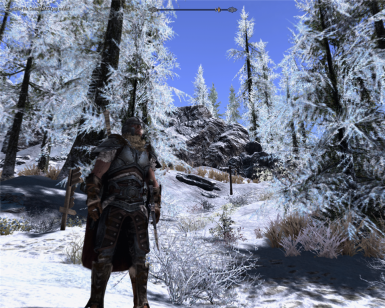 Non-ENB users can set Shadow Bias to "1.00" to get less "blocky shadows" while ENB-users safely can reduce this to "0.5". Both will reduce or prevent peter-panning and also should give a good balance for shadow quality and get rid of stripping. Results still may vary, so just play around with it until you find you personal best setting. Godrays can be set to "medium - everywhere" while override driver-side Tesselation with "16x". This allows you to enjoy Godrays without impacting the overall performance. 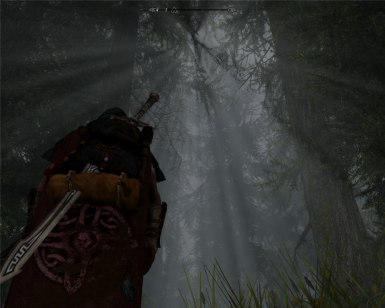 BETHINI will set your draw distance settings somewhat lower than default settings. I would let this alone and later tweak it ingame in the main menu for settings. After you saved and closed BETHINI you might want to open the SkyrimPrefs.ini with any text editor and set "bUse64bitsHDRRenderTarget" to "1". Weaker systems can leaves this disabled. This setting will improve the overall image quality, especially decals, rain and snow effects as also snow details and similar things. It comes with a small performance cost, but not a poblem on mid-spec systems. Play around a little with BETHINI if you're not satifsfied. You also can revert all changes to its prior state - but I however recommend to keep a manual backup of these files before using BETHINI, just in case. ALWAYS set iVSyncPresentInterval = 0 in your SkyrimPrefs.ini. Double check your INI settings! Otherwise your game will be capped at 30 FPS when being below 60 FPS!! This preset at least doesn't cost me too much performance at all - while ALL other presets (and I tried almost all available ones) impact my FPS so I don't want to play with it! If you use this ENB you might want to disable Lumasharpen from my Reshade if you use both of them, but keep in mind that using both might be a performance hit. Try around and see what works best for you. Don't use higher resolution texture replacers than the resolution you're playing with! I.e. If you're playing on a 2K-like resolution, it's pretty useless to install 4K textures as you won't really see the difference and it only drops your FPS. Depending on your amount of RAM keep an eye on applications running in background. If your memory is completely used by several programs, Skyrim will begin stuttering. Just close unused applications before playing. On, and don't eat steak and strawberry pie together! That mod really deserves much more love than it currently gets!! Anyone who wants to use a nice flora replacer, but struggles with FPS (like with SFO, etc) should give it a try! 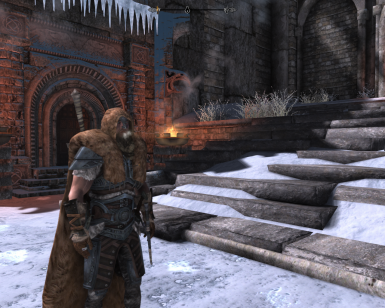 Works great - with some extra attention (DynDolod/SSLodGen) - with i.e. SBT. But looks also amazing out of the box! Also covers trees very nice!